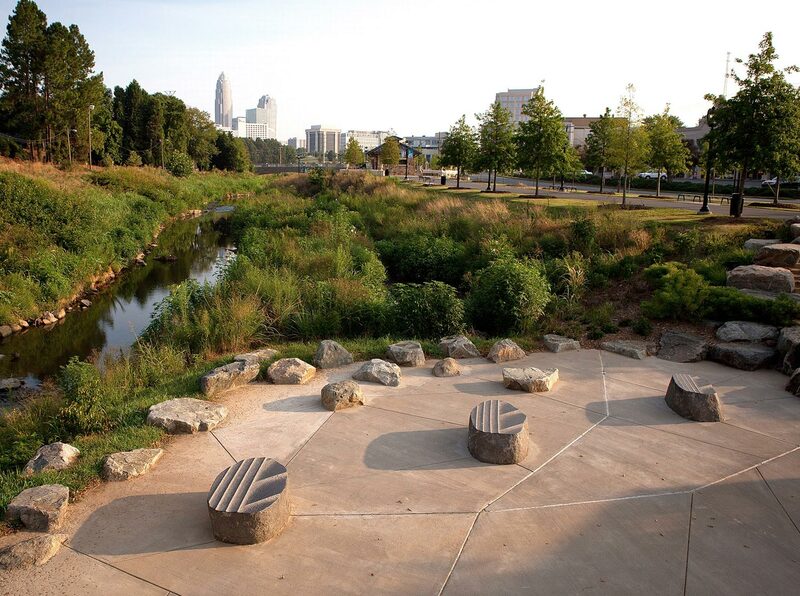 The Little Sugar Creek Greenway Project was a large restoration of an once polluted river. 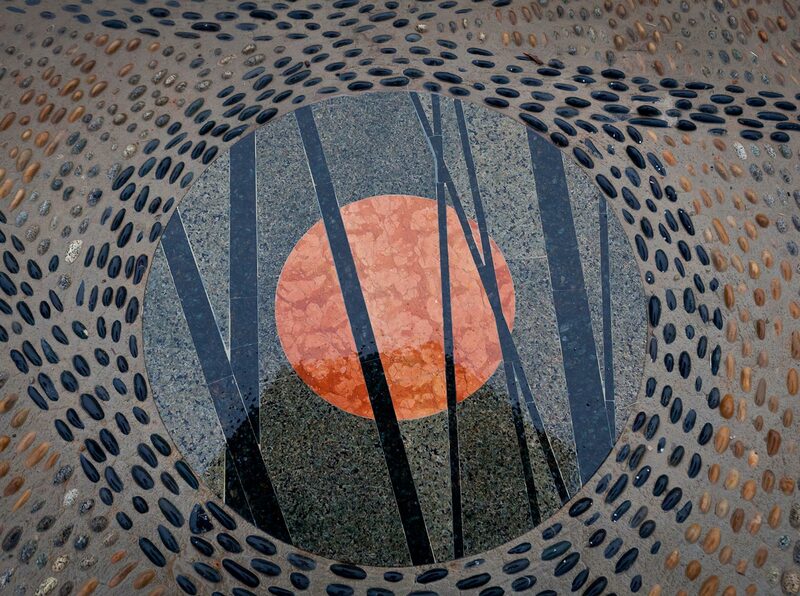 The artist chose the overall design theme of the artwork from the elements of the natural universe: Air, Earth and Water. He designed multiple art elements that were place throughout the mile long greenway. 1) A landmark vertical sculpture that acts as a major focal point for pedestrians. The interior of the stone elements are carved with relief patterns based on natural aquifers in the bedrock of the earth’s crust. This visual theme also suggests a body of water that exist but that is normally invisible to us. 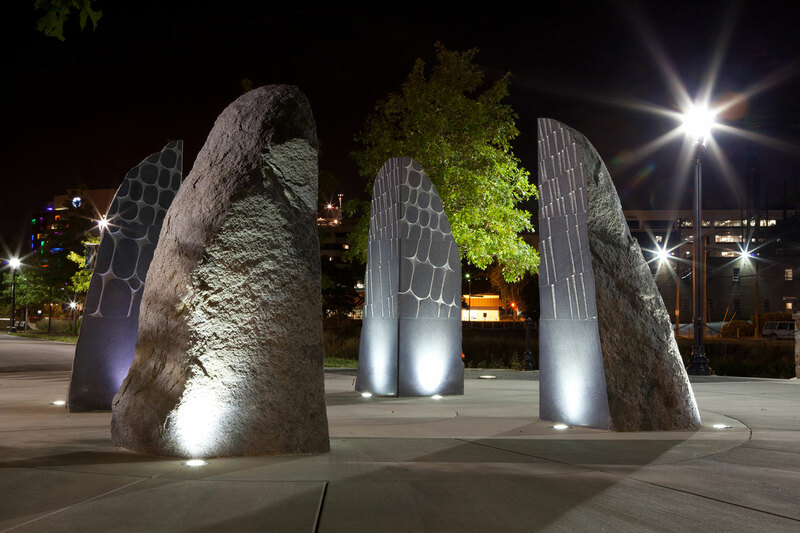 2) The artist carved a number of natural boulders into sculptural seating with varied wave patterns, offering rest and reflection along the greenway. 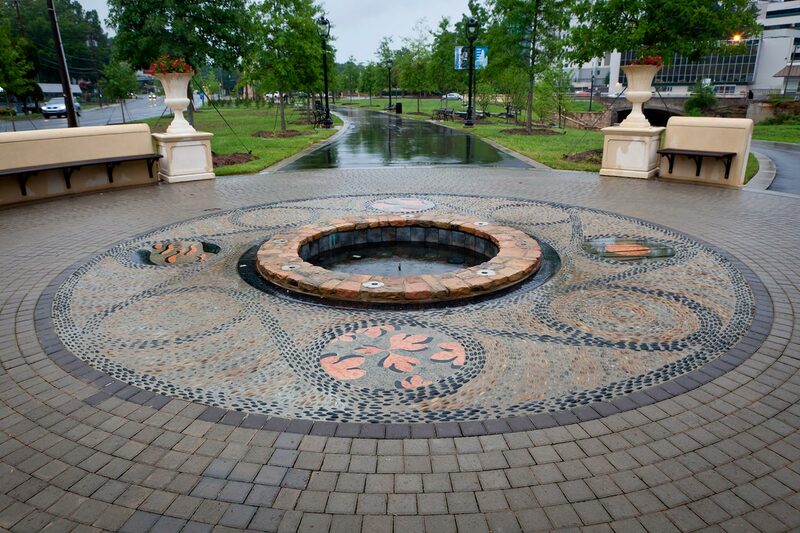 3) A series of stone mosaics set in a circular paving design around a small fountain and an information kiosk. 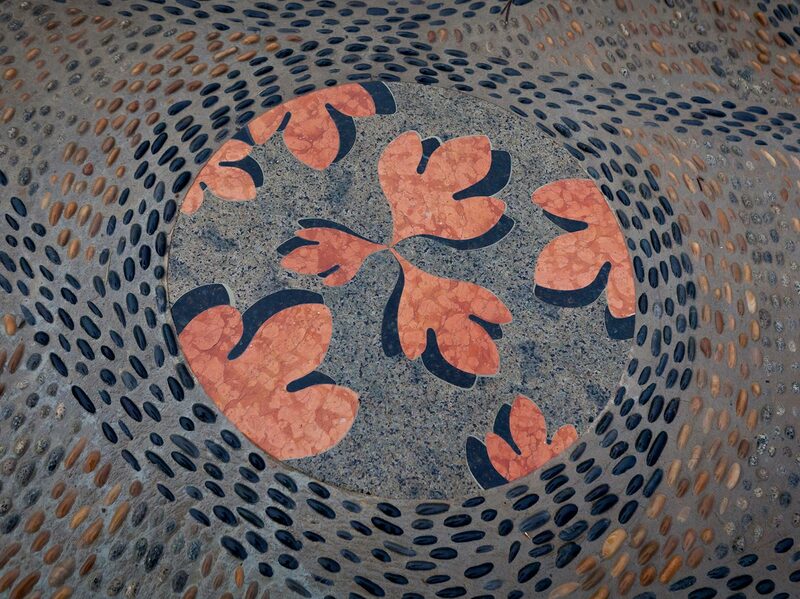 The mosaic designs are based on the native flora and fauna of the region. 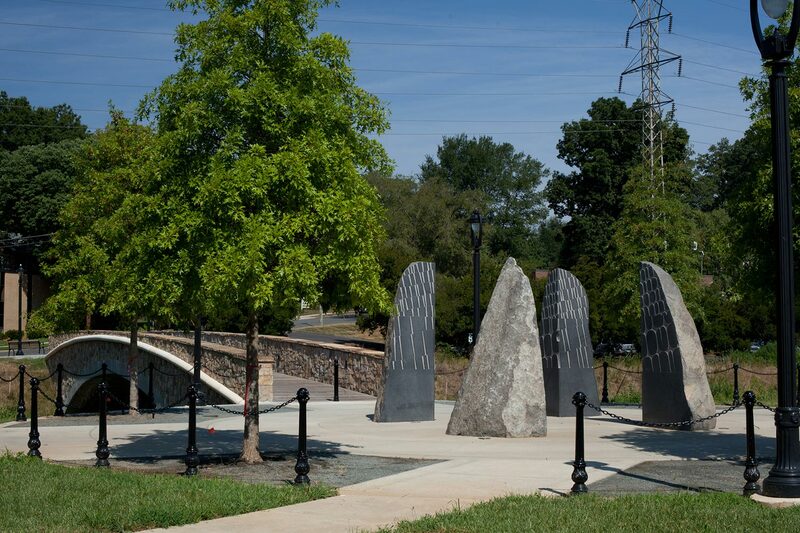 Commissioned by Arts and Council-Charlotte/Mecklenburg, Inc.